If the kitchen is the heart of the house, the living room is the soul. A place for gathering together, relaxing, doing homework, enjoying the company of friends and family, plus much, much more. We’ve already dreamed of sniffing the flowers in some gorgeous gardens and imagined dining in some dazzling dining rooms. Now, we’re taking a virtual tour of some cozy and beautiful living rooms that are featured in our Howard Hanna luxury Homes of Distinction program. Sit back, relax, and imagine yourself enjoying all that these comfortable living rooms have to offer! Enjoy this charming stone home nestled in an English garden style setting. 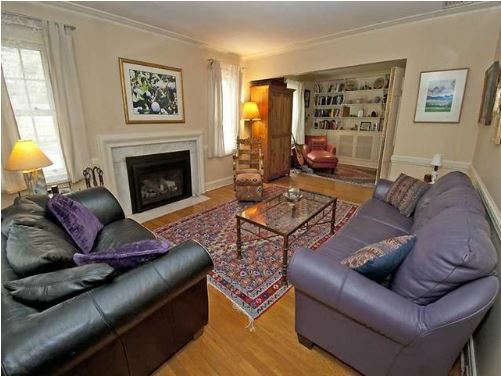 The hardwood floor and gas fireplace make this living room a welcome place to curl up with your favorite book. 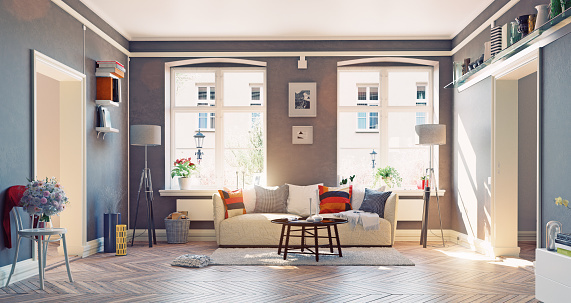 Even on a cloudy day, relax in this cozy room filled with welcoming sunlight! 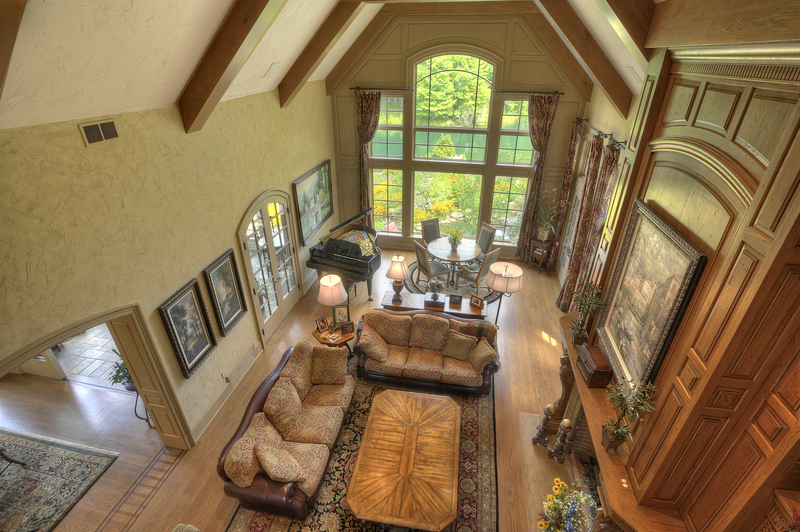 Gracious and stately, this custom-built, all-brick Georgian Colonial is situated on 4.8 private, wooded acres. The red brick fireplace is perfect for snuggling under a blanket or enjoying the view of the backyard. In the summertime, open the windows and relish in a light breeze. The open layout of this beautiful home on a neatly landscaped lot features a grand family room. High ceilings and great dramatic windows remain warm and cozy even on the most frigid of evenings. Above you is the turned stair and wrap-around gallery featuring built-in bookcases. What’s not to love about this amazing living room? This remarkable home enjoys stunning views of the Laurel Mountains. 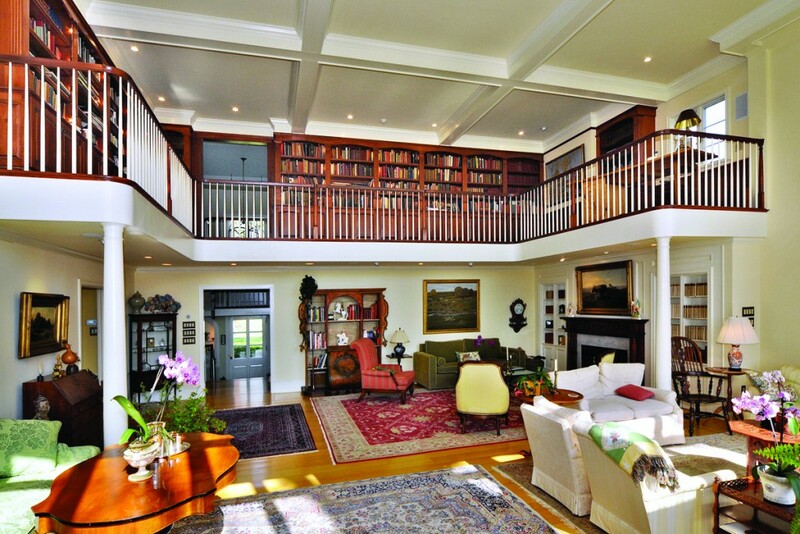 The awesome two-story living room has a long wall of windows and library balcony overlook. 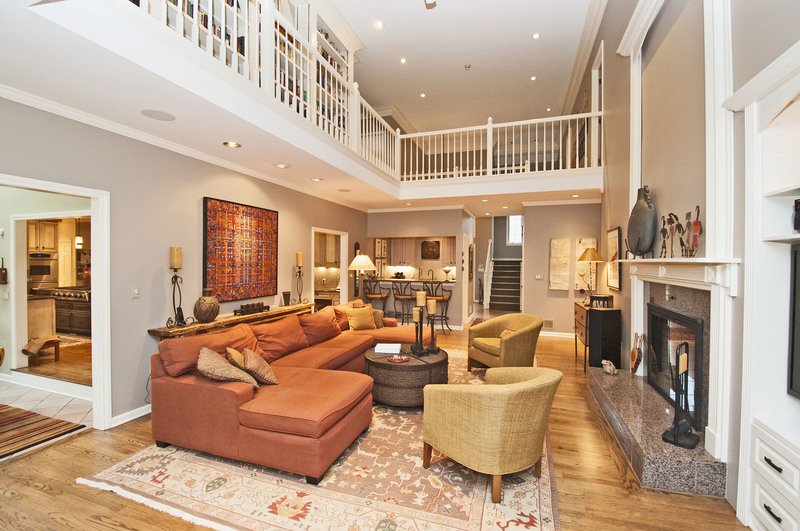 Beautiful hardwood floors and generous proportions make this living room truly one of a kind! An outstanding estate just north of Butler, this 4,000 square foot brick farmhouse has been recently remodeled. 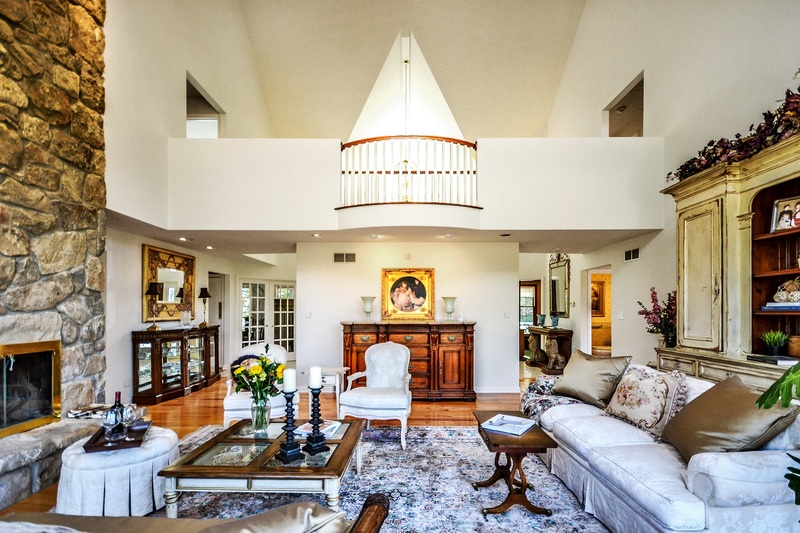 No detail has been overlooked, as the vaulted ceiling in this lovely living room demonstrates. The fireplace is a double-sided, two-story beauty, where you can have a hot cup of coffee in the morning while sunlight fills the room. Overlooking a private lake and 10 stunning acres with a lovely flower garden, this home has the finest details imaginable, including coffered ceilings, intricate woodwork details, and an open flowing floor plan. 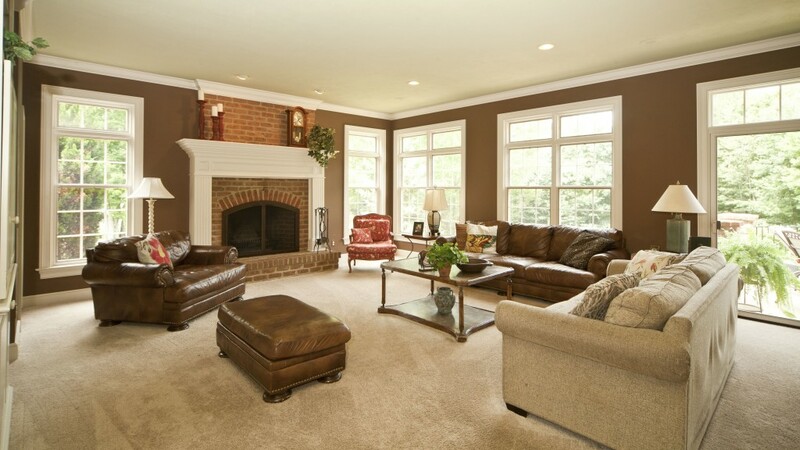 The living room is a beautiful place to enjoy everything from daily life to large gatherings!